Our EPC division provides services to all three of our core business units, which include residential, commercial, industrial/utility. Our experience ranges from designing small commercial systems to large-scale utility projects. Through leveraging our growing pipeline of projects and years of relationships in the industry, we provide customers of all types cost-effective procurement and construction pricing in all markets we serve. 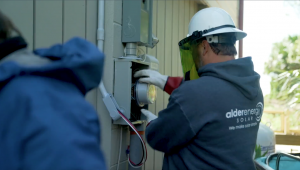 As a leader in the solar industry, Alder Energy understands the engineering process starts with the employing intelligent and the most qualified individuals. We select our engineers carefully and strategically to suit the needs of our customers. 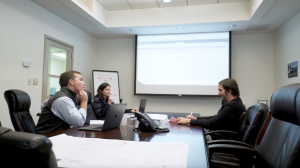 All of the engineers on the Alder Energy Team are certified with the North American Board of Certified Energy Practitioners, ensuring all projects are planned and executed in a manner that is unmatched. Our team has a thorough process to determine the best plan possible for each and every client. Beginning with an entire client requirement analysis, site survey, monitoring of local weather conditions, structural design, power generation, determination of equipment needed, and final custom solar project proposal including detailed design engineered drawings by our inhouse professional engineers that is specific to your company. Beginning with an entire client requirement analysis, site survey, monitoring of local weather conditions, structural design, power generation, determination of equipment needed, and final custom solar project proposal including detailed design engineered drawings by our inhouse professional engineers that is specific to your company. At Alder Energy, we facilitate the procurement of all major components necessary for the project. A successful installation begins with a set of the best materials and components available in the industry to ensure the project is completed in a timely and cost-effective way. Alder has access to some of the most competitive pricing options with in the South Carolina solar market, without sacrificing quality or efficiency. 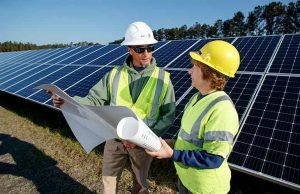 Within EPC, staying on pace with deadlines as well as staying within the budget is paramount for a successful solar construction project. We pride ourselves on consistently maintaining these goals through our in-depth planning process and leaning on our previous experience of over 300 completed projects. We can anticipate any issues that might arise and work efficiently to minimize the risk and resolve them in an accelerated manner. Should the unexpected occur our team is skilled in undertaking the problem and coming to a solution expediently. We use these policies to provide our full on-site construction services and licensings to all of our clients. 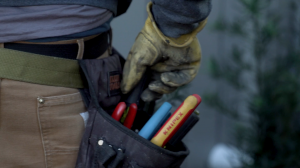 Alder operates each project with precision, attention to detail, and a strict onsite safety protocol. To properly ensure a swift and accurate execution of a renewable energy generation facility throughout the duration of its shelf life, maintaining and repairing system components is critical. Alder maintains this in a manner that is conducive with the manufacturers, owners and off-takers of said facility. By utilizing state of the art technology and a staff with deep understanding and expertise, we are able to guarantee optimal operation of solar powered facilities for our clients. 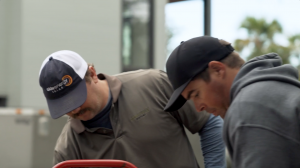 Our staff consists of North American Board of Certified Energy Practitioners (NAVCEP) certified technicians and Master Electricians offering Alder clients the peace of mind that we are qualified and experienced to skillfully manage solar power plants. "I couldn't be happier with Alder Energy. They were very patient with me and took all the time I needed to answer my questions." "I took a leap of faith with Alder Energy. Going solar is a big investment. Can't say enough great things about this company." "They were on top of things throughout the whole process, and we couldn't be happier with our decision to switch to Alder!"